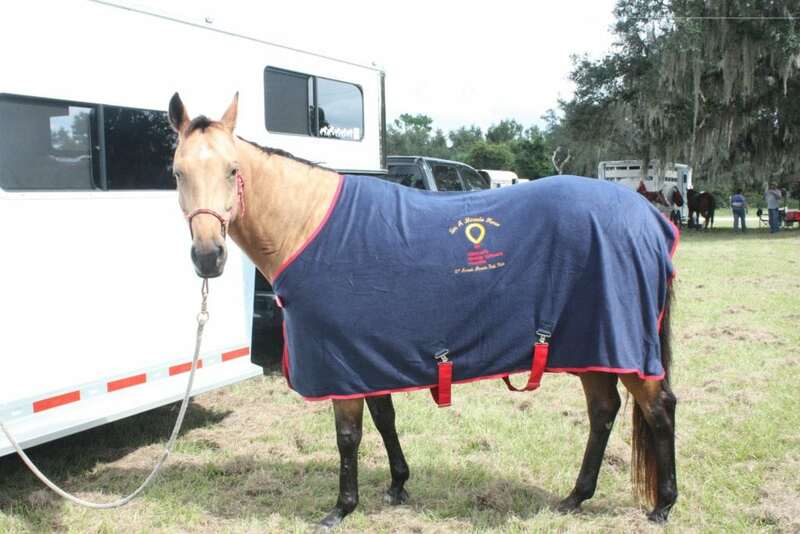 This year commemorates the 25th Annual Miracle Trail Ride – an event where Trail Riders from Central Florida and beyond come together to raise funds for sick and injured kids. Miracle Trail Ride is a marathon fund raiser on horseback where participants bring their own horses and enjoy a 10-mile ride of beautiful scenery and trails, and this year’s ride will be held on Saturday, November 11 at Lake X Ranch in St. Cloud, FL. 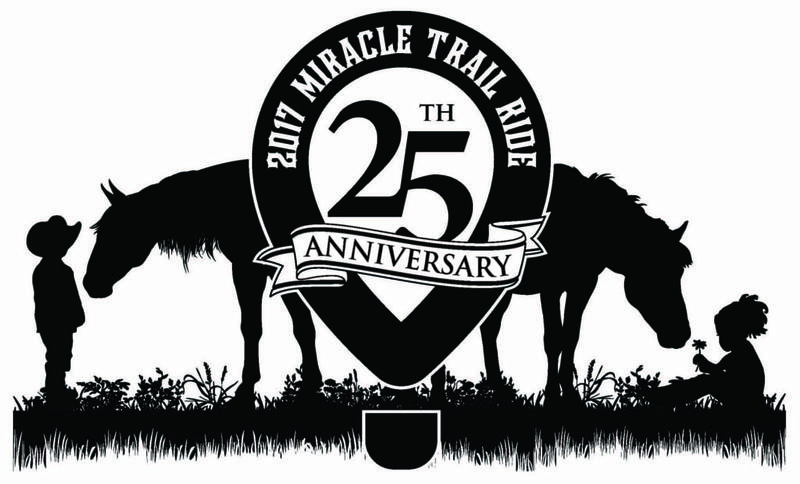 In the past 24 years, Miracle Trail Ride has raised more than $500,000 for CMN Hospitals – all of which are unrestricted, allowing the hospital to use the funds in areas of greatest need, which might include purchasing life-saving equipment, funding research or providing diversionary and educational materials for patients, for example. 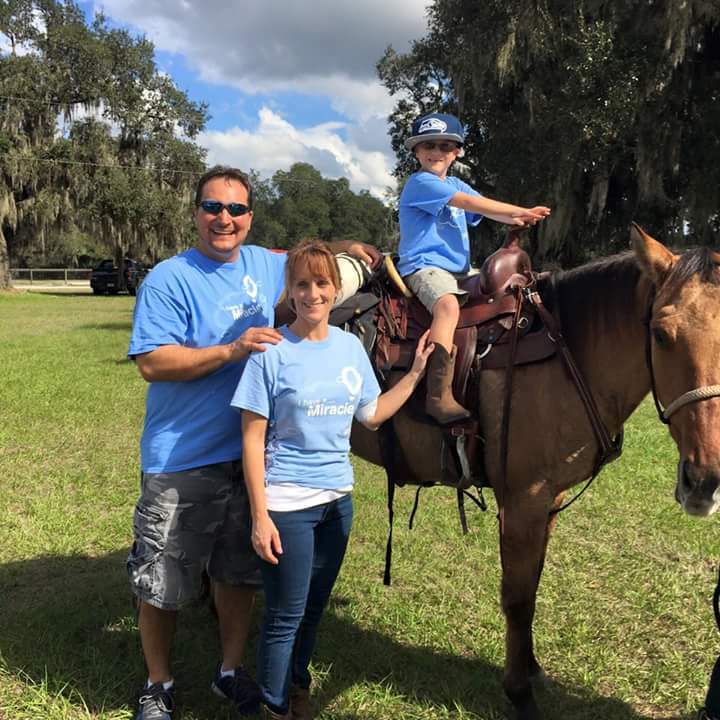 Miracle Child Jack poses on a horse during Miracle Trail Ride 2015 with his parents. Funds raised through this event help kids like Jack, who are treated in the NICU at Arnold Palmer Medical Center. Check-in begins at 8:00 a.m. and the ride will begin at 9:00 a.m. Registration for the event is only $5, and all participants are asked to fundraise a minimum of $65 by asking friends, family members, and co-workers to make a one-time donation to support their effort, or even pledge a few dollars for every mile they ride, all to support CMN at Arnold Palmer Hospital for Children. Eligible riders will receive breakfast sponsored by IHOP, lunch provided by Jimmy Bear’s BBQ and sponsored by Blackadar Insurance, and an event t-shirt. This year, camping is available both Friday and Saturday night. Prizes for Top Team and Top Fundraiser will be awarded, along with incentives for funds raised above and beyond the $65 minimum. An incredible list of raffle prizes and silent auction items will be up for grabs thanks to the generous donations of local businesses, and thanks to our event sponsors and partners including Blackadar Insurance, The Closing Table, Equity Prime Insurance, IHOP, Anything on Wheels Inc., Orlando Longwood Auto Auction, Mainstreet Community Bank, McLane, Costco and Harvill’s Produce. Registration is open until Noon on Friday, November 10 at www.helpmakemiracles.org/event/miracletrailride2017. Can’t make it to this event but want to support the efforts? Consider a donation of $25 for 25 years of riding, or $10 for the 10 miles each participant will ride. Donations can be made online by clicking here.